Work your upper body, lower body, and core all at once. Workouts will target over 85% of your muscles with every stroke you take! Rowing will build your body up; not break it down! Rowing is a low-impact exercise with a very low risk of injury. At Crew Class Indoor we row as a crew! You can expect an energetic, endorphin-boosting workout in a safe, inspiring, and inclusive environment. Within the ultimate team environment, we believe diversity leads to inspiration. Whether you are just starting out, or an experienced athlete, all are welcome. Small classes mean you get one to one advice on rowing technique physiology and also nutrition from a three time Olympian and multi world champion rower. Learn psychology and physiology of training and performance, how to stay motivated and achieved your fitness goals however big or small. 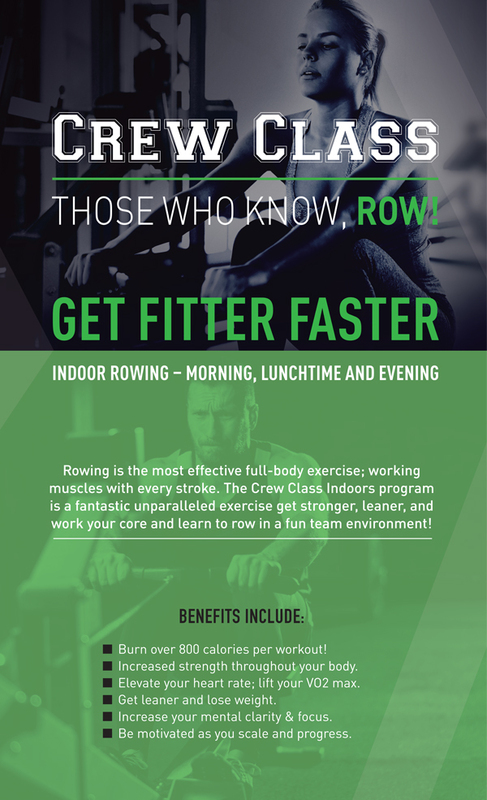 Crew Class was founded by Niall O’Toole, Ireland’s first ever rowing World Champion, three time Olympian 1992, 1996 and 2004 Olympics, and former World Record holder. A multi-medallist, his pioneering international rowing career spanned two decades, including 15 World Championships. Niall is also the founder of The Annual Dublin Docklands Regatta which has been running since 2016. 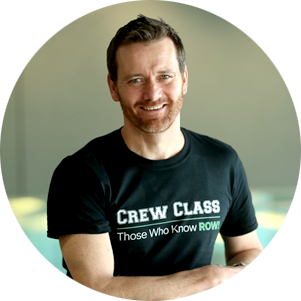 Crew class founder Niall was Irelands’ first world rowing champion, also multi world medalist and former world record holder, representing Ireland at the 1992, 1996 and 2004 Olympics. He has competed at 15 World Rowing Championships. Fees are paid on a term basis in advance, and this equates to approximately €10 per class. Niall is a super motivator. There is just no way you could individually replicate the level of support and challenge that he provides. His drive and energy, combined with the dynamic of working with a crew, really mean you get the most out of each session. I highly recommend Crew Class. Probably the toughest, most energetic physical exercise I have ever done, but the crew mentality drives you on, keeps you motivated and keeps you on pace to deliver an extremely productive workout. You have to try it to believe it. I can’t recommend Crew Class highly enough. if you like to push and be pushed in a workout then these are for you. Tough, physically and mentally challenging but also fun and definitely the best workout I’ve ever done. You will feel exhilarated and energised while learning a new skill. Very enjoyable way to get fit with the mix of gym and time on the water. High energy exercise where you see improvements in a short period of time. Niall is a great Coach and as someone who started with a low fitness level, he keeps you motivated and part of the team. Highly recommend. If you are interested in having a unique fitness experience then this is the class for you. Niall will take you above and beyond anything you ever thought you were capable of, either mentally or physically… And you will learn a new skill in the process. Having recently joined Crew Class morning session I think it’s amazing! Niall is so experienced at what he does, he is very encouraging but at the same time puts you under pressure to push your body, I highly recommend giving it a go. An extremely intense, yet very enjoyable workout I’d happily recommend the Crew Class rowing experience to anyone. I started Crew Class in December and have really enjoying it, a really great workout, tough but a good mix of strength work and rowing and I feel totally invigorated after my morning class. It’s definitely worth doing as it’s is very challenging plus the opportunity to learn a new sport with other novices and keep fit at the same time. Crew Class Rowing is the most complete physical and mental workout – Niall delivers the technique, the programme and the attitude to make progress, the crew setting adds the motivation and everyone literally pulls together to achieve their personal best. I whole-heartedly recommend Crew Class Rowing. Great fun. Very challenging. You are guaranteed to improve your fitness. 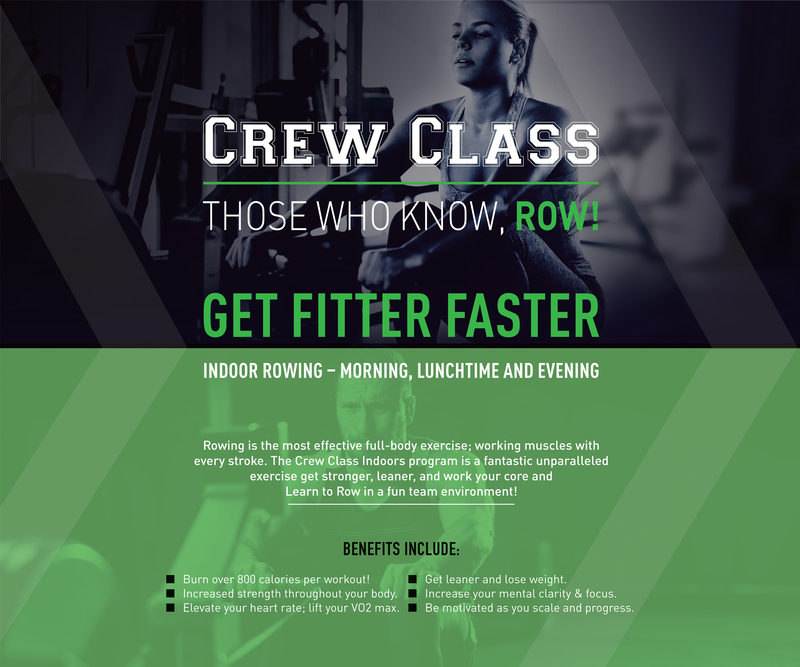 If you have a Positive Mental Attitude and a desire to get physically fit then ‘Crew Class’ is for you! If you provide the determination Niall will gift you the technique and encouragement! A real recipe for success… I’d highly recommend this class.